The Stamina SpaceMate Folding Stepper not only gives a great low-impact, calorie burning, cardiovascular workout, but tones the calves, buttocks, thighs, and hips, too. 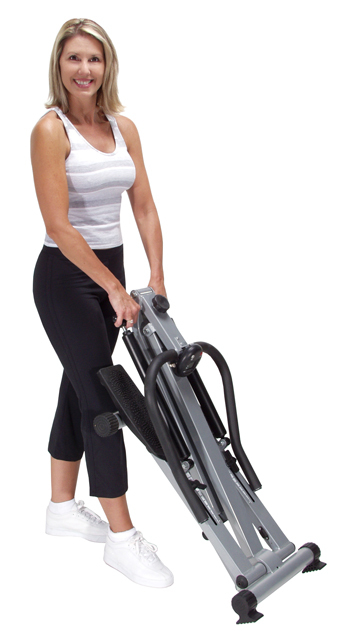 The Stamina SpaceMate Folding Stepper gives a workout comparable to the larger more expensive stepper workouts, yet with the pull of a pin the Stamina SpaceMate Folding Stepper folds and rolls for easy storage and portability. 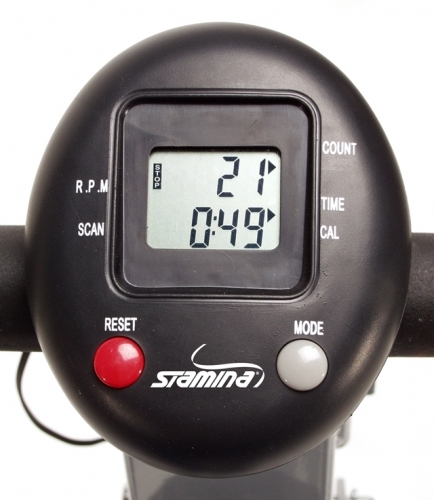 Order your Stamina SpaceMate Folding Stepper from FitnessZone.com today! Call 1-800-875-9145 to speak with one of our fitness advisors with any questions you may have. Order your Stamina SpaceMate Folding Stepper from FitnessZone.com today!